If you’re considering the purchase of Epiphone Les Paul SPECIAL-II, you’ll want to take all its features and benefits into consideration. If you’re a fan of electric guitars, there’s a high chance you’ve heard of a Les Paul – it’s one of the world’s most popular designs. The Les Paul SPECIAL-II is Epiphone’s most basic offering, but being one of the most affordable electric guitars on the market, it also has plenty to offer. 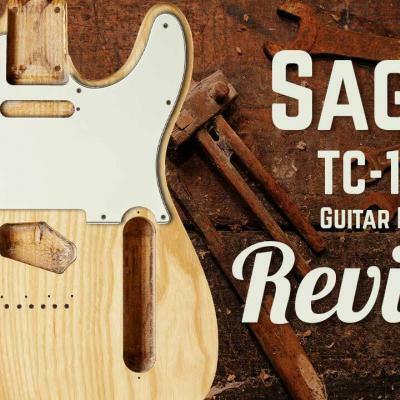 Choosing the right guitar is a complicated process that should entail plenty of research. In this review, we’ll take an in-depth look at the Epiphone Les Paul SPECIAL-II with an aim to provide a bit of that research for you. 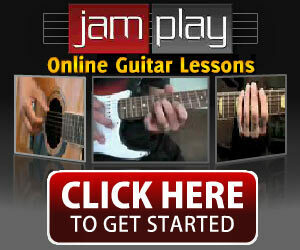 Epiphone is one of the world’s most notable guitar manufacturers. While they originated in Turkey in the 1800s, the current company, owned by Gibson, is best-known as one of America’s most famous musical institutions. The firm is currently based in Nashville, Tennessee. The Les Paul range of guitars is one of Epiphone’s most prominent products. If you’re looking to purchase a classic guitar with plenty of history, the Epiphone Les Paul SPECIAL-II is your most affordable option. With the classic Les Paul design and noticeable mahogany body, this guitar model will impress an enthusiast of any level. Best of all, it comes in three unique color schemes: ebony, vintage sunburst, and heritage cherry sunburst. All three models benefit from a pure rock and roll design. 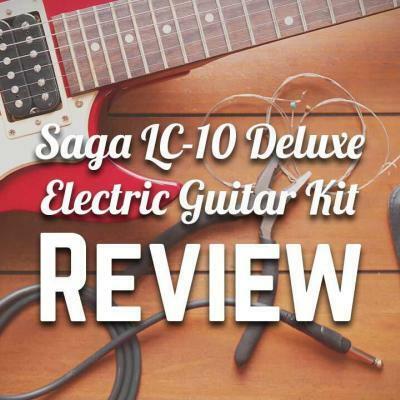 One of the most essential components of an electric guitar is the electronics receiving and emitting the music. If you’re a guitarist that values the performance of your guitar, you’ll be pleased to know there are some tremendous built-in electronics present in the Epiphone Les Paul SPECIAL-II. 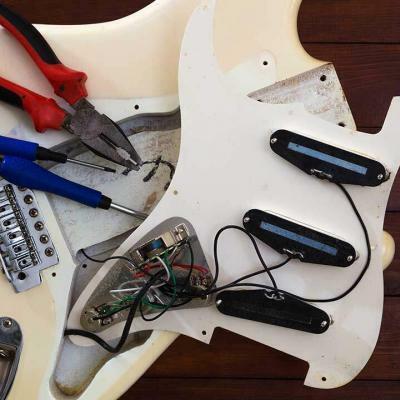 First, you have 700T Humbucker pickups that ensure smooth, powerful transmission of tone from the instrument. 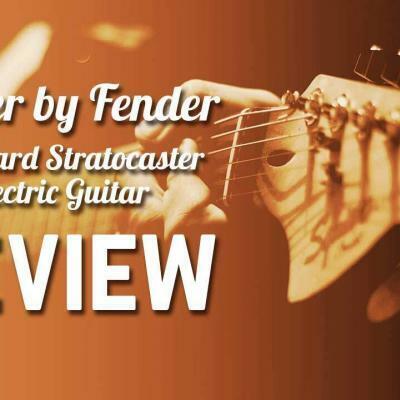 There’s also a rosewood fretboard and a Tune-O-Matic guitar bridge system. There’s plenty to ensure your guitar performs to a high standard no matter what type of music you’re playing. If you’re looking for an extended warranty that protects your guitar from malfunctions, you’re in luck with Epiphone. Unlike many companies on the market, Epiphone offers a lifetime warranty on materials and workmanship. While this warranty doesn’t cover everything, it does help ensure that you don’t lose out because of manufacturing issues. Many companies only offer a one-year warranty, so this feature is extremely unique. How Does the Epiphone Les Paul SPECIAL-II Sound? You can’t go wrong with the sound of the Epiphone Les Paul SPECIAL-II – especially considering the price of the guitar. 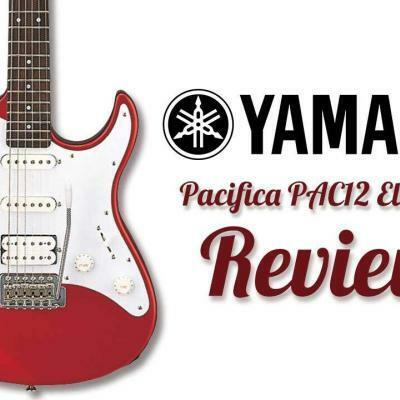 If you’re someone who wants an affordable guitar that emits a range of full sounds, this is a solid option for you. The pickups are particularly robust producing full, rich (and aggressive) tones. 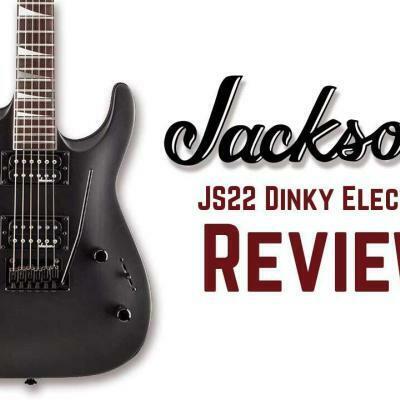 While there are more refined sounding guitars on the market, this is one of your best options under $200. With a company like Epiphone behind the construction of a guitar, you can rely on top-quality materials beings used to construct it. Even more significant is the warranty – a company only provides a lifetime warranty if they know their product is reliable. Regarding build quality, the Epiphone Les Paul SPECIAL-II is built from mahogany. This guitar is known to last. If you’re looking for a long-term investment, Epiphone guitars are a solid option in general. Should you wish to trade or sell the instrument down the road, the resale value is very much in the name. As long as the instrument is kept in good condition, the Epiphone brand will allow you to recover a good chunk of its value. 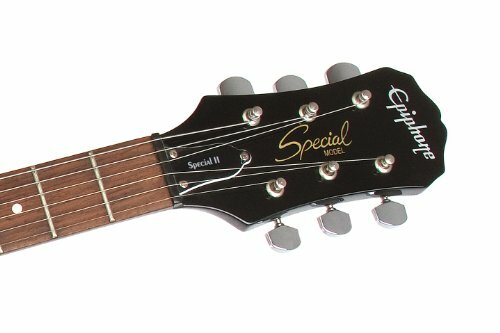 What Do Epiphone Special-II Users Think? 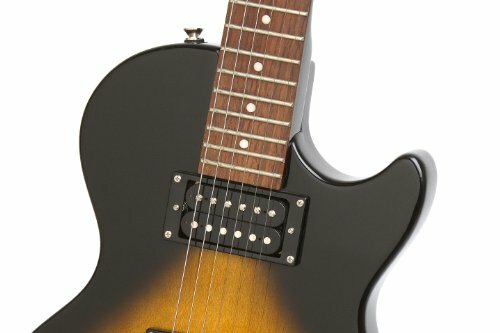 Verdict: Is the Epiphone Les Paul SPECIAL-II a good guitar? 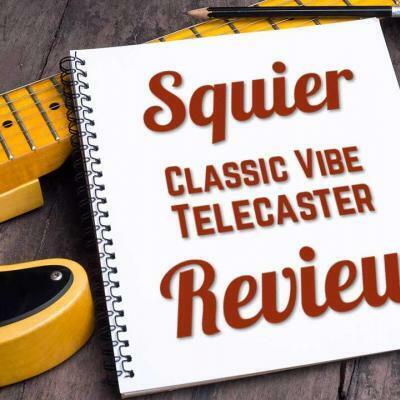 As you can probably tell from this review, the Les Paul SPECIAL-II is excellent value for the money. 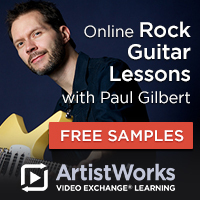 In this case, you don’t have to break the bank to get your hands on a well-designed guitar. Les Paul’s designs are some of the most famous in the industry. 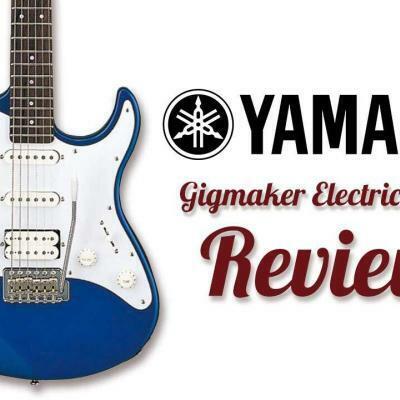 With an attractive cost of around $200, you get a fully functioning electric guitar that provides clear and powerful audio at an affordable price. While you’ll still need to purchase an amplifier to use it, the price point can’t get any better! However, we do feel this guitar may be best for beginners. Despite great durability and decent sound quality, more advanced players may find the Les Paul SPECIAL-II insufficient in comparison to higher-end models. About: For 140 years, Epiphone is one of American’s oldest and most revered instrument makers. Since 1873, Epiphone has made instruments for every style of popular music and in 2013 celebrated its 140th anniversary.